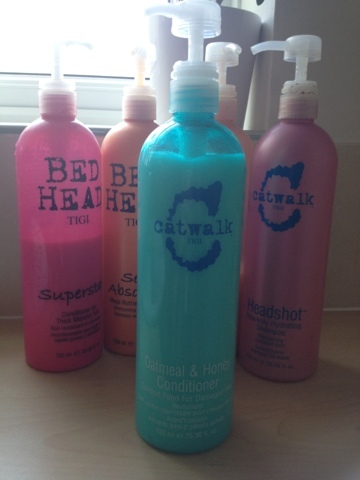 I love TK Maxx for picking up Tigi products, I always seem to find the big 750ml pump bottles of their Shampoo and Conditioners for around half the price, I have about 6 or 7 of these in differing forms and will do separate posts on these shortly but I was so excited to see the Tigi Catwalk Honey and Oatmeal version in there last weekend that I bought it immediately. My hairdresser always used to use this Shampoo and Conditioner when I had my hair done and it made my hair feel so soft that I had to pick this up and test if it worked at home. 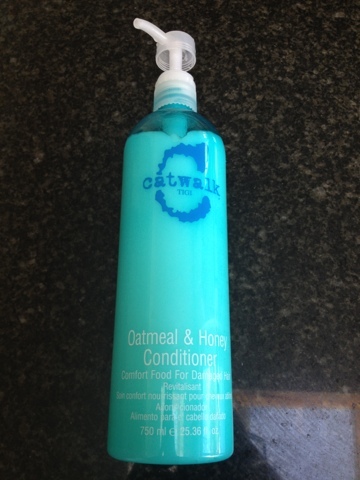 I just picked up the conditioner, mainly because I am obsessed with the Tigi Catwalk Headshot Shampoo which has a minty sweet smell and is for dry hair as well and is quite literally amazing, I'm completely obsessed with the smell of this shampoo and how clean it makes my hair feel, so I know I won't be giving this shampoo up anytime soon, this one was also another TK Maxx purchase, but I shall speak more about this in a separate post. Anyway, onto the Honey and Oatmeal Conditioner, This conditioner is for dry hair and re-hydrates hair using wheat and soy proteins leaving hair moisturised and shiny. If I'm honest, I didn't actually like the smell of this too much in the bottle but I knew the results were good so I picked it up anyway and once you actually pump it out of the bottle, it has a lovely sugary honey smell which is actually really nice, definitely grows on you. This works as well as I remember it working in the hairdressers as well, I only put it on my hair for about 30 seconds before rinsing it out but it left my hair feeling so soft and looking shiny and healthy. My favourite thing about buying these from TK Maxx is the price, The Shampoo's are sold in TK Maxx, normally for about £9.99 and conditioners around £12.99 which is roughly half price and as these are the big 750ml bottles, they last for ages, I have quite a few bottles of these and mix them up quite often depending on what my hair needs. The pump bottles are also really handy for when you're in the shower, one pump dispenses the perfect amount of product for my just past shoulder length hair. I also like how bright the bottles are, really funky and look lovely next to the shower. TK Maxx also do lots of other brands (MOP, L'Oreal, Wella, Matrix to name a few) in the big 750ml bottles, if Tigi isn't the brand for you, check it out, really is a bargain as these bottles last for ages and are so handy. What are your guys favourite shampoos? A few of my collection! 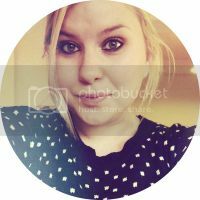 2 comments on "Tigi Catwalk Honey and Oatmeal Conditioner"
I think I'm going to try some of these as my hair has been dry lately and needs some love.